Titanic Note. Over here they are tonen Titanic in 3D, but I wish I could see Titanic Note in 3D. Wallpaper and background images in the Death Note club tagged: death note l light. 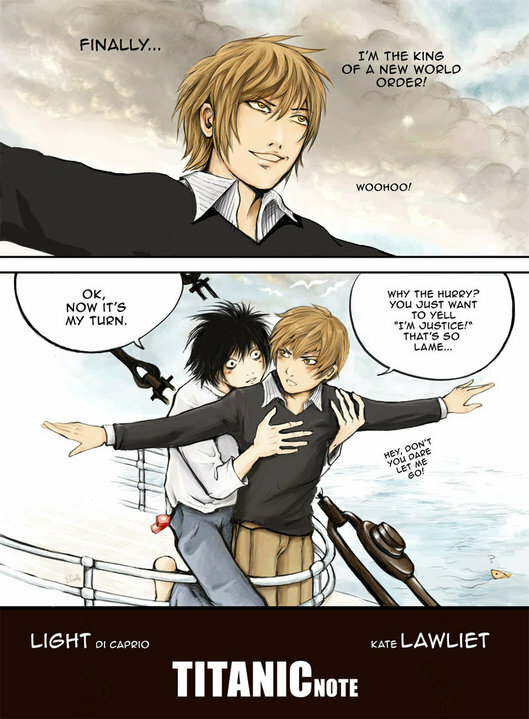 This Death Note fan art contains anime, grappig boek, manga, cartoon, and stripboek. There might also be krant, tijdschrift, tabloid, vod, papier, and rag. I could so see them doing this!